If anyone is interested the MBRP/The Garage Huntsville truck meet will be June 1st this year. ^^^ Did you hear if they will have the Dyno (Diesel Dr.) back this year? They’re currently working on getting a dyno there. I sure hope so! Yes, it would liven things up for sure, it was missing in the atmosphere last year IMO. Also,'The Garage' should put on a big SALE on that day with so many truck enthusiasts in one place, again IMO,lol. Original Dodge Ram box ?? 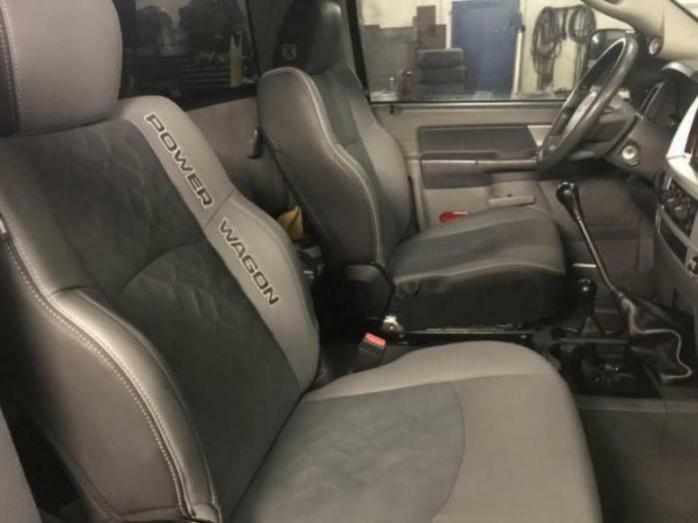 Just dropped a set of 2018 power wagon seats into my truck, the colour worked out awesome. If anyone knows anyone with a 4th Gen jump seat console that’s grey for sale, let me know. Hey Grogg, I been using some ULSD additive that y'all grow in your back yard, and probably don't even know it has such value in the world of diesel performance. Figured I'd pass along to VE brother.... Not sure if it'll work in common rails; probably gum it up.